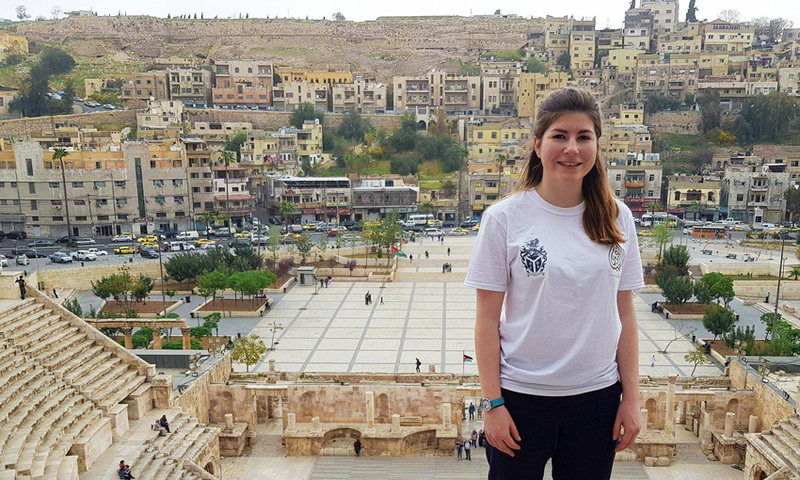 I have always been interested in visiting the Middle East, so when the opportunity arose to visit Jordan on a public health trip for 12 days, I snapped it up! 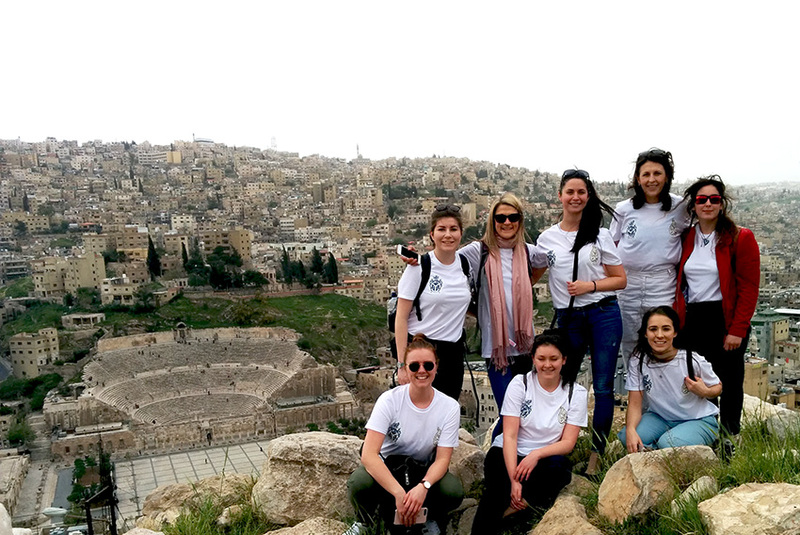 Along with 11 other students from the university’s BSc Environmental Health, BSc Public Health and BSc Nutrition courses, we travelled to the capital, Amman. 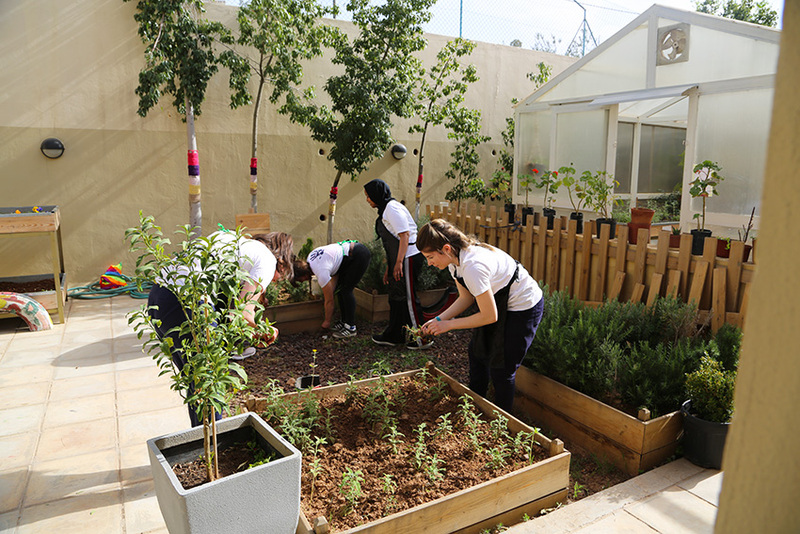 Our aim was to exchange knowledge and best practices of public health with health professionals in Jordan, as well as learning about the cultures and traditions of the country. We might have missed out on our Easter Eggs but helping out at the camp was much more rewarding. Not an Easter egg in sight for us – we volunteered over the Easter weekend; painting and renovating the community centre and litter picking in the streets of the camp. We donated stationery for the children to use in the school and even ran a mini art/English lesson for them! Hummus for breakfast works much better than you might think! 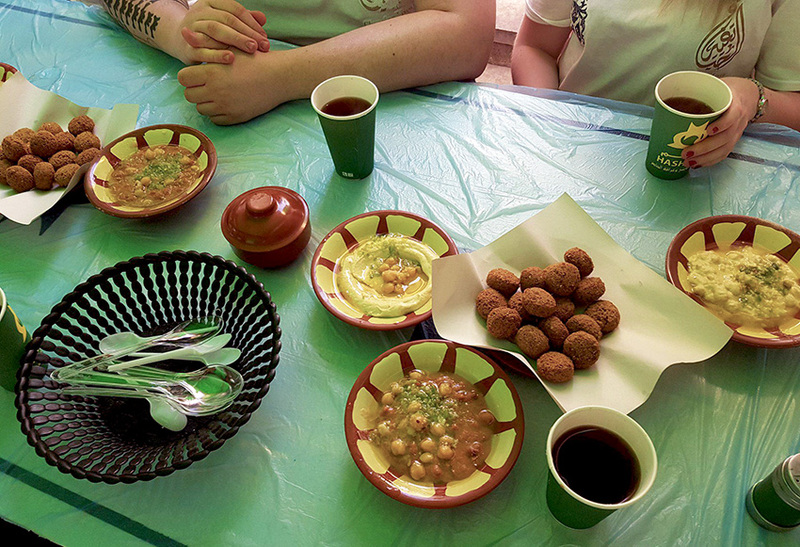 We ate Jordanian cuisine pretty much every day, from Lamb Mansaf in the refugee camp to hummus for breakfast – yes, breakfast! The ruins were absolutely breathtaking. 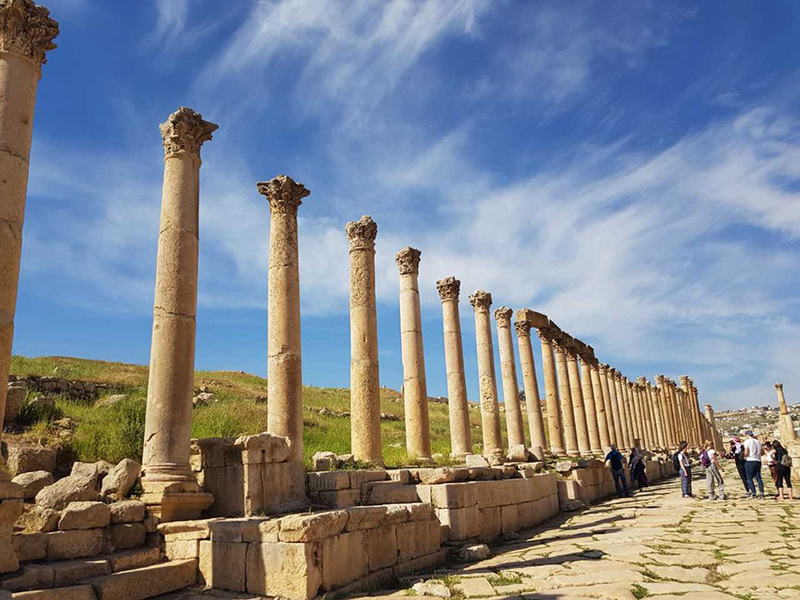 It was amazing to wander around Amman’s Roman Theatre as well as Jerash – climbing up lots of steps to get to it was worth it for the views! I think the heat might have got a bit too much for us! Something that you don’t usually get to do on a ‘holiday’ is to visit a local school and plan lessons and activities! We arranged a mini sports day, which went down very well! Running around in 30c heat wasn’t quite as fun for us though – I took any opportunity to take refuge in the shade! 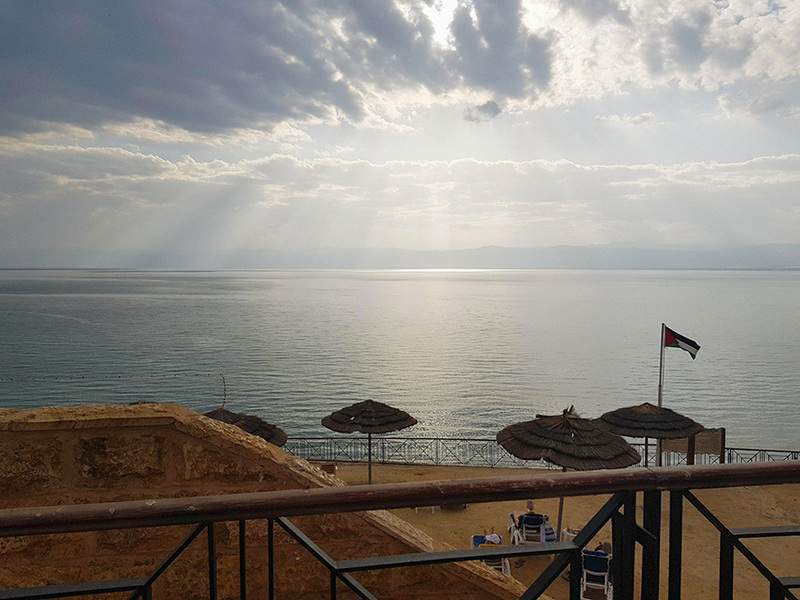 On our day off, we travelled to Jericho to the Dead Sea and chilled at a seven star Hotel for the day. I can now cross swimming/floating in the Dead Sea off my bucket list! Seeing the sunset over Israel was a lovely ending to our rest day. Dressed to impress for our Royal banquet! 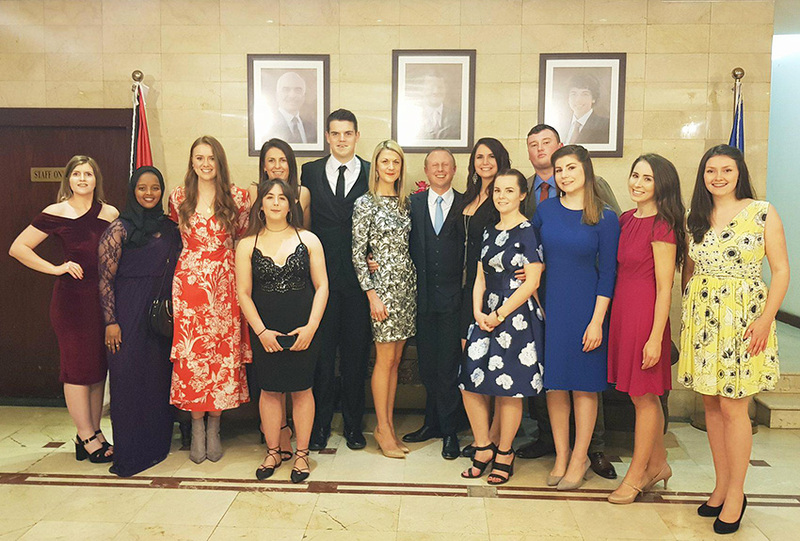 We had to scrub up well to dine with Dr Majid Al-Sadi and HRH Princess Rawja of Jordan! Attending this multi-course meal with speeches to follow was a great opportunity to represent Cardiff Metropolitan University. 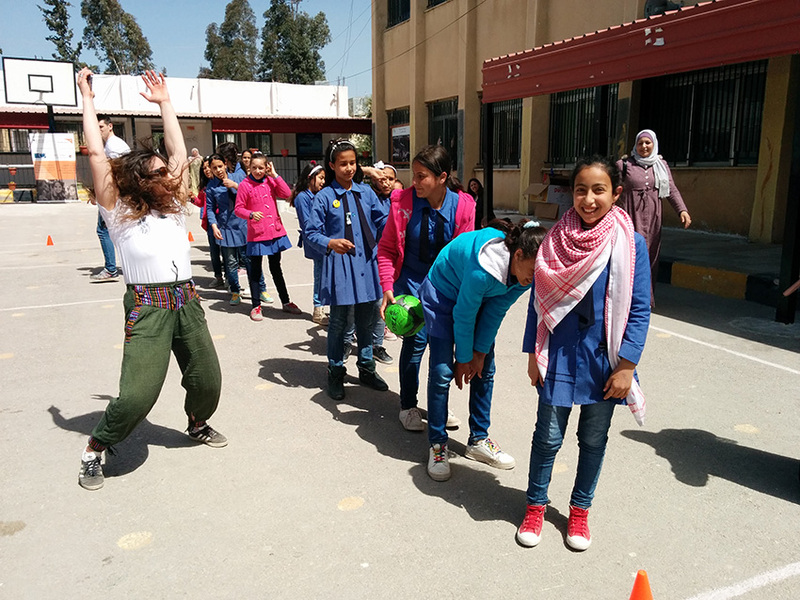 Every day was full of problem solving and trouble-shooting – from thinking on my feet to come up with activities to do with the children in the Gaza camp, to navigating (or getting lost!) around downtown Amman. Those are experiences I just wouldn’t be able to get from a lecture theatre. I loved every minute of my Jordan adventure. As I’m a bit of an amateur when it comes to travelling, this trip has not only given me confidence to travel internationally but has also given me an insight into careers that I could have in public health internationally. Before the trip, I’d always assumed that my career may have been restricted to the UK, but this is certainly not the case – the world is my oyster! As I start my career in environmental health very soon, the experiences and skills that I have gained from this trip have definitely altered my outlook and approach on tackling public health issues.